Celeb Gossip News – Aquaman movie: Has Jason Momoa ALREADY given away the ending? Aquaman movie: Has Jason Momoa ALREADY given away the ending? The movie – which sees Momoa reprising the role he impressed audiences with in Justice League last year – is the next big attraction on the slate for DC. Speaking at San Diego Comic-Con to Entertainment Weekly, he revealed what the final moments of the solo caper will entail. “He was born with the powers but he never really harnessed them, honed them,” he said. “Obviously this is his whole origin story. We’ve seen him in Justice League, which is maybe two minutes of his old life, so we get to see where he came from. Presumably referring to the King of Atlantis, the move would certainly set up the character for multiple more movies, if all goes well with this one. It’s also no big surprise, seeing as the premise for this film sees Aquaman struggling with whether to fight for his “rightful place” as King. 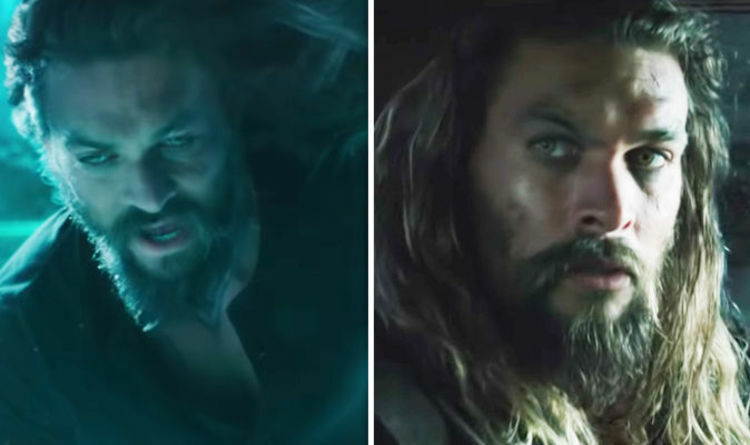 Aquaman debuted its first trailer over the weekend, with Amber Heard seen as Mera after a brief appearance in Justice League. We’ll also see Nicole Kidman as Queen Atlanna, Dolph Lundgren as King Nereus and Patrick Wilson as Orm. Heard recently said: “Before I decided to take on this role I read a couple of the comic books and I was struck by how Mera was introduced. “She comes into this one scene in the first comic I read where Arthur [Momoa] is attempting to save the town from a flood and she helps him. She has an equal part in saving this village. She continued: “That resonated with me as somebody who’s always been allergic to being the damsel, the two-dimensional archetype of what women are often limited to in this industry — especially in the superhero world. Aquaman is out on December 21.